shirley-bee's stamping stuff: Happy Birthday, Shery! Sweet birthday wishes for the sweetest person in blogland, Shery of STAMPlorations! 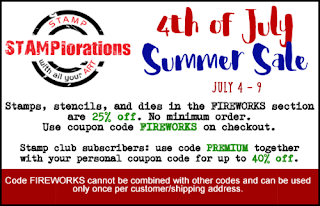 Creator and designer of STAMPlorations, CUTplorations and ARTplorations products, somehow she miraculously manages to grow the business while bringing up two adorable little girls - Superwoman! The DT have got together for a virtual birthday celebration on the STAMPlorations blog. I'm fashionably late to the party but to make up for it, you get a little sneak peek of my latest stamp set. Keep your eyes 'peeled' (sorry!) over at the STAMPlorations blog in a couple of weeks. 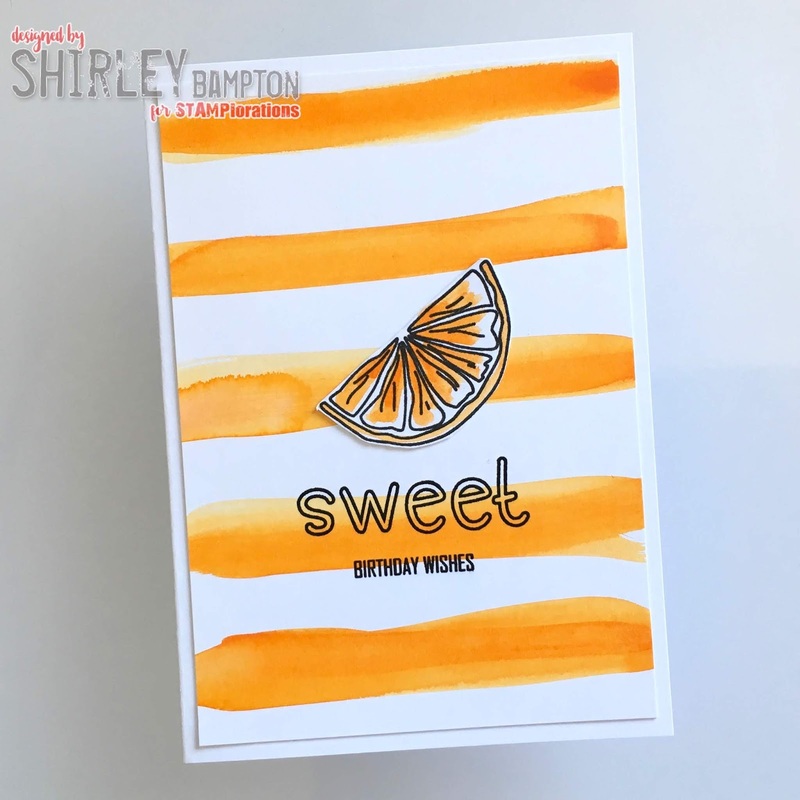 In the meantime, pop over to the STAMPlorations blog where you can see all the gorgeous cards from the DT. If you're thinking of doing any shopping while you're there, there's a sale on until 9 July. 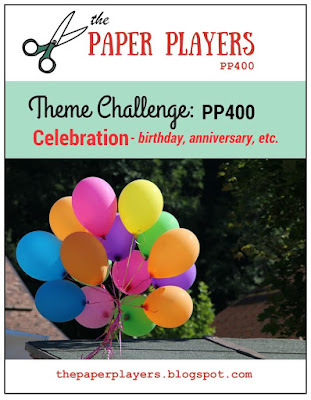 I'm playing along at The Paper Players, where the theme is Celebration in honour of their 400th challenge. i love this card, Shirley! and that stamp set is really fab! hugs! So bright and cheery! 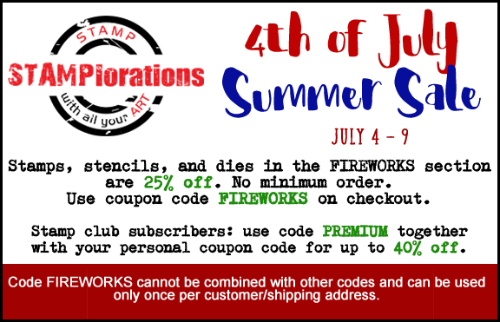 I love the orange stripes.Thanks for playing along at The Paper Players and joining us in our 400th challenge celebration!